SEO is a vital part of a successful online business, but how can creators hope to compete? Here are four common sense strategies to make it happen. When I first heard the term “SEO” I thought it was a band. Eight hours later when I was entrenched in keyword lists, data bucket sizes, and Google algorithm reports, I wished I’d never learned differently. Fortunately, normal people -- and I’m not saying marketers are abnormal, but I am implying it lovingly -- don’t need to dig into the details of SEO to benefit from it. You don’t have to hire an expensive consultant or agency, either. In fact, you can improve your search traffic and competitiveness on the search engine results page (SERP) with just a few no-tech and common-sense strategies. And that’s exactly what we’ll be doing today. First, we’ll look at data behind SEO, and then -- to save you from the headache (and, really, heartache) of the my earliest SEO experiences -- we’ll cover four tips you can apply without earning an undergraduate degree in marketing or computer science. Before we do that, though, let’s make sure we’re on the same page. What is SEO (And why should you care)? By now, you’ve probably at least heard of SEO. Short for search engine optimization, I like to think of SEO as the martial arts of marketing. Everyone claims some affinity with it, but few are true masters, and even fewer need to be. Because while SEO is important -- and it is, more on that in a second -- understanding the intricate, interconnected parts of it isn’t likely to benefit small businesses. The weeds are too thick to wade into if you’re not intent on becoming a marketer yourself, and the flora and fauna of search engine marketing are constantly changing as Google updates its algorithms to serve users better. After all, conservative estimates put Google’s updates at 500 to 600 times a year. The only thing you need to know about Google’s algorithms as a creator is that they want the same thing you do for your customers: the best possible experience with their product. So if what you’re creating delivers that with better content, stronger customer experience, and usable design, Google will take notice of you and improve your rankings. Have you noticed how I’ve only mentioned Google? Although SEO applies to any search engine, the best practices are dictated by Google for purely practical reasons. 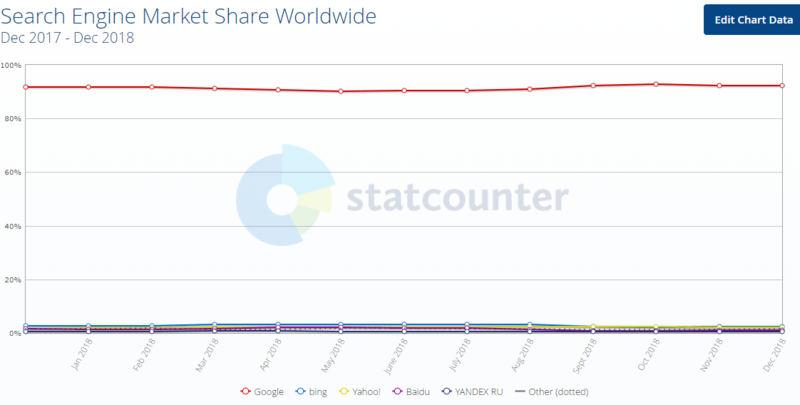 As of December 2018, Google’s search engine claimed 92.25% of the market, and as you can see, that’s not a sudden lurch from obscurity. So for now and the foreseeable future, the only search engine you need to care about is Google. And, according to a lot of marketers, appeasing Google should be one of the most important goals for your business. At least, that’s what over half of 6,200 global professionals from a wide swath of industries told HubSpot in their latest State of Inbound report. 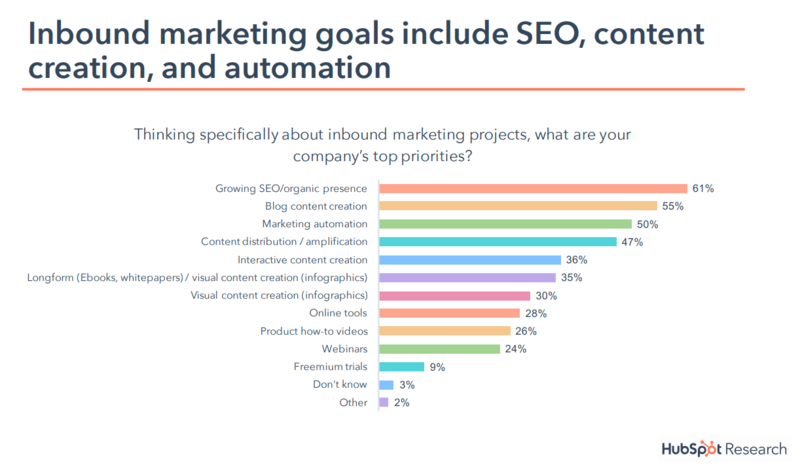 Hands down, the most pivotal priority for inbound marketing projects is improving organic search traffic through SEO. At this stage, you might be thinking: OK, great, SEO matters a lot to marketers, but how does that translate to you? Because SEO, and more specifically Google, drive the overwhelming majority of traffic on the internet. 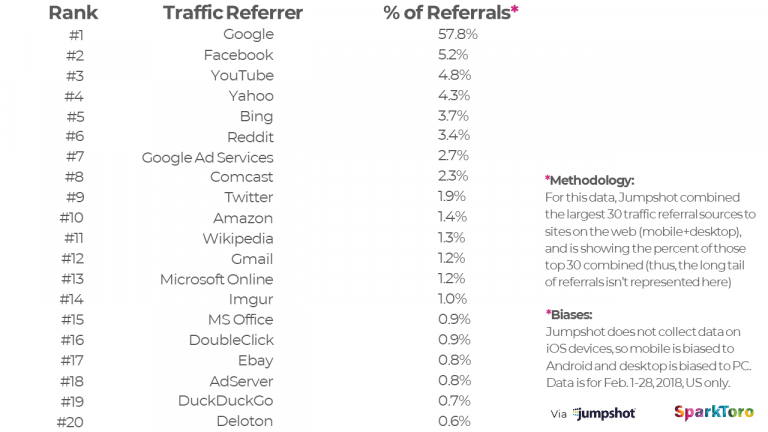 57.8% of referrals come from Google, with its nearest competitor, Facebook, driving only 5.2% of referrals on the web. Facebook, the social media network that’s been called ‘the everyone network,’ can’t hold even a waning candle to the level of influence that Google has over your online business. 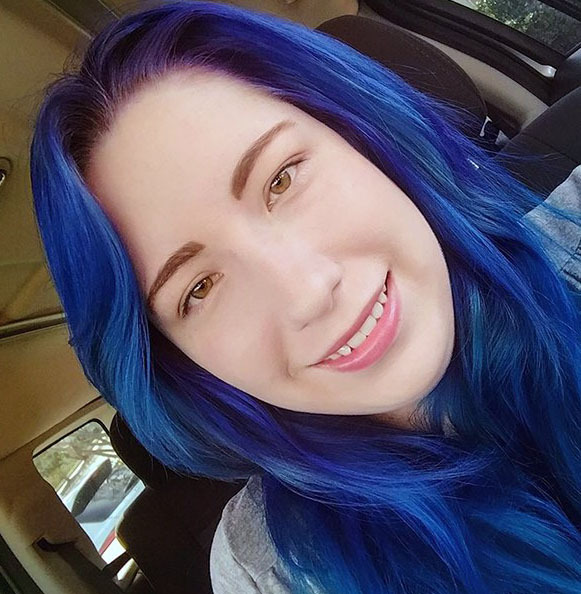 SEO is synonymous with visibility for digital creators. Now, with that squared away, here are those four no-headaches tips I promised to improve both for your business. 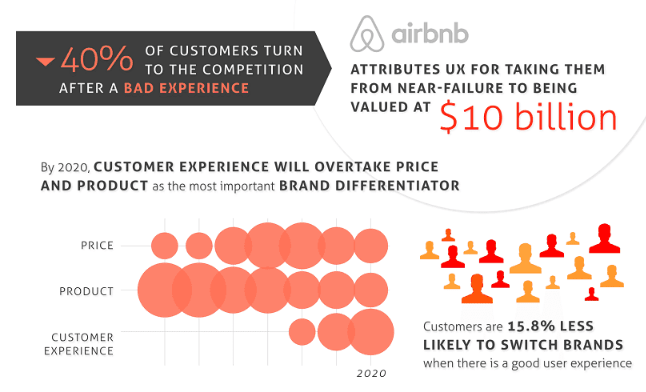 Tip #1: Prioritize user experience. SEO is associated with keywords, and in the days of algorithm yore, they did carry a lot of power -- but they’re not the be-all of your website’s worth in a search engine’s eyes. In fact, they fall pretty low on the ranking totem pole by themselves -- see our next tip -- and factors that relate back to your user experience (UX) and traffic matter the most today. Ranking signals like direct website visits, the time users spend hanging out on the page they land on, and the number of pages they visit during their session all vastly outweigh keyword density. They each communicate to Google about the engagement level of the user they send to you. If your metrics show a positive engagement with multiple page visits and a lot of dwell time, Google assumes that it’s done its job and delivered what the user was looking for. If, however, the user doesn’t linger on your website and heads back to the SERP within a few seconds, you’re likely to have other issues that do impact engagement. In that case, the search engine will most likely* interpret that they aren’t providing the best experience with your ranking and potentially demote you. And make no mistake, when it comes to search engines, they value protecting their customer before delivering yours. Incidentally, those same engagement-damaging issues bode poorly for your business on a revenue level, as well. 40% of customers will head straight to your competition’s doorstep if you provide a poor experience for them on your website, while 15.8% are more loyal if the experience is solid. So your first and most important step to stronger SEO is one that benefits both Google and your business: making the customer’s experience as stellar as possible when they arrive at your site. 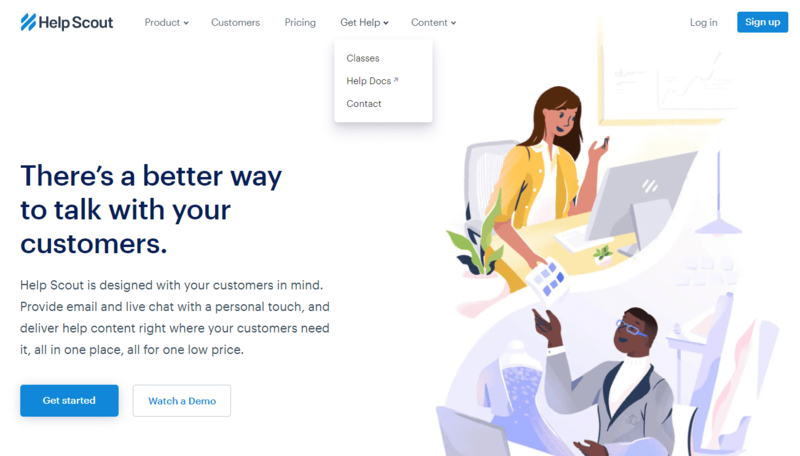 Removing unnecessary clutter, offering clear paths of navigation, and providing useful -- not filler -- content are just a few of the steps you can take towards improving customer experience on your website. But if you’re looking for an example, I can’t think of any website that does this better than Help Scout. Check out how their navigation is set up: you can find what you want when you want it. Need help with their product? There’s an entire navigation link for you that provides an avenue of contact, classes, and help documentation. 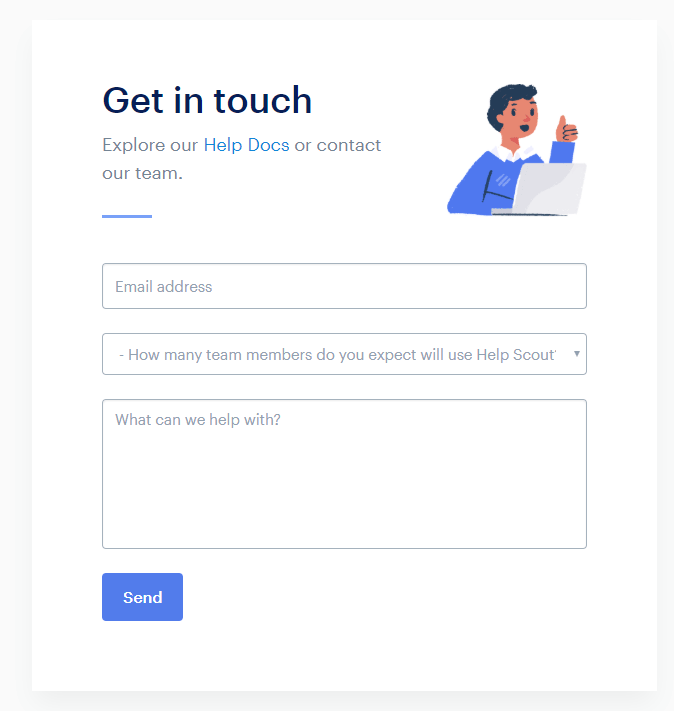 And if you do head to their contact page in search of help, there’s no frills or barriers to getting what you need: it’s just a simple, clean form -- a definite must-have for engaging visitors -- that puts you in touch with who you need to reach. Every page on their website is designed as if the business is allergic to friction, and if you want yours to shine in Google and users’ eyes, it needs to follow suit. Tip #2: Target user intent with content. On the point of keywords, they aren’t the plug-and-play traffic attractors they used to be. In modern times, they’re matched to user intent, and if you think a search engine can’t determine intent as well as a human, you’d be wrong. Or you might be part of Google’s engineers that were outshined by their own creation, Rankbrain, the self-correcting AI-powered algorithm that sorts Google’s indexed pages. If you’re getting flashbacks to certain movies with actors named Arnold in them, you’re not alone. But far from the apocalyptic future, Rankbrain is actually a great thing for users and businesses alike. 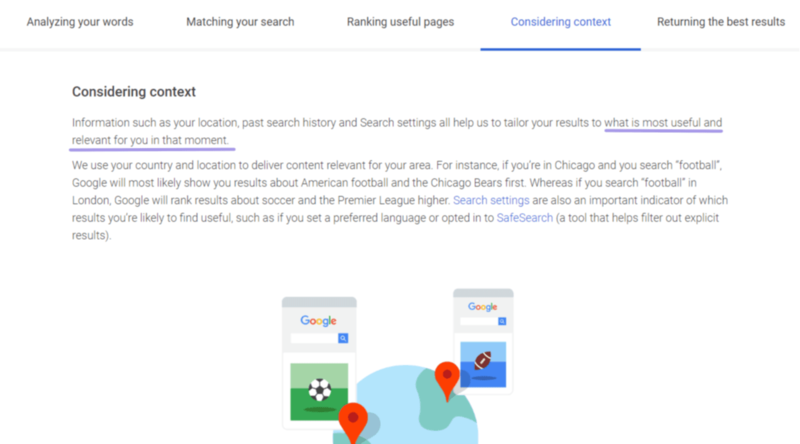 Thanks to Rankbrain, searchers are able to find more than just content related to their query, they’re able to find the content that satisfies their query, whether it’s informational, transactional, or navigational. The search results are more relevant, and thus the leads that arrive through them are more qualified because they’re likely actively looking for the type of product or content you have. So if content is king, context is emperor for digital product creators and marketers. 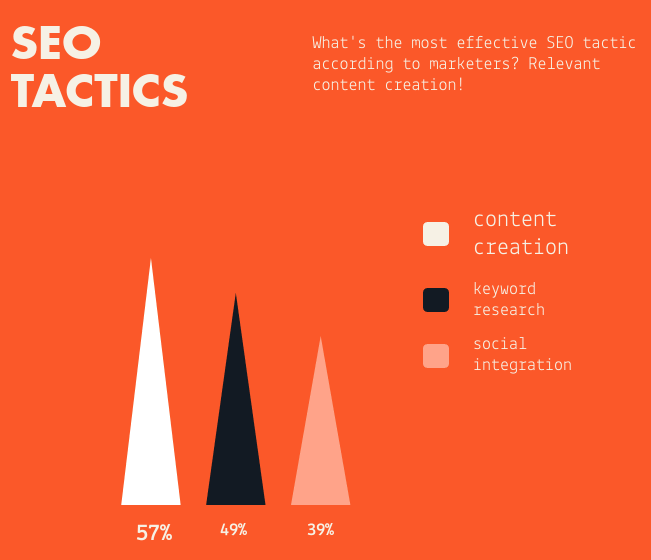 Which is probably why 57% of them say that content creation -- versus only 49% for keyword research -- is the most effective SEO tactic in their arsenal. Now, how can you use this to your advantage? While you’re putting together your keyword research (check out our previous article on blogging and SEO for a walkthrough and tools you can use), think about more than how to work those terms into your blog -- think about the person behind them. Probably not. If you build your content around that search term without taking context into account, users are likely to skim through it, see they can’t find what they’re looking for, and leave. And as you’ll recall, that isn’t going to help your website’s SEO -- or more importantly -- your prospective customer. Make your content useful to the people who find it by targeting the context around keywords rather than their mere presence. Consideration, not density, is the litmus factor of a successful keyword. Tip #3: Optimize for mobile users. 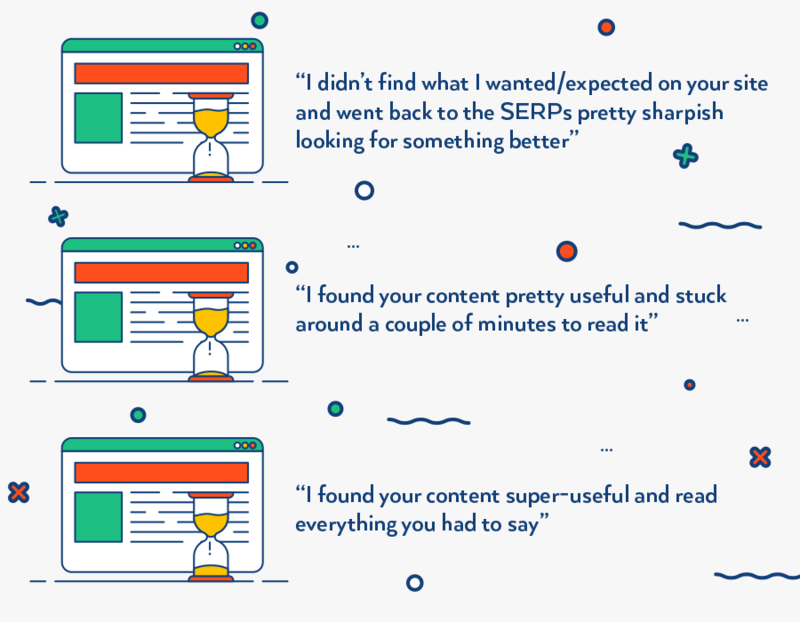 While you’re targeting user intent, take into account that a lot of the people who find your content aren’t going to be reading it on a desktop. 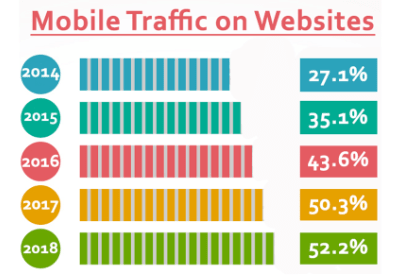 Mobile traffic now constitutes a majority of the web with 52.2% of pages being served up on handheld devices. A great mobile experience isn’t a supplement to your website anymore -- it’s a necessity, both from a business perspective and SEO point of view. On the business side, 74% of people are more likely to come back if your design is well-tooled for mobile phones. And on the SEO side of things, Google officially began indexing pages based on their mobile versions early last year, which means if your pages aren’t optimized for mobile, they could be giving the competition an edge and suffering lower ranks than they should be. Put simply, the mobile version of your website is now considered the primary version of your website for search engines, while the desktop-side design is the auxiliary version. This is something that 80% of the top-performing websites in the world have taken note of, as well. In fact, of the top ten websites in the world, 90% have responsive designs to fit different-sized devices such as desktops, smartphones, and tablets. 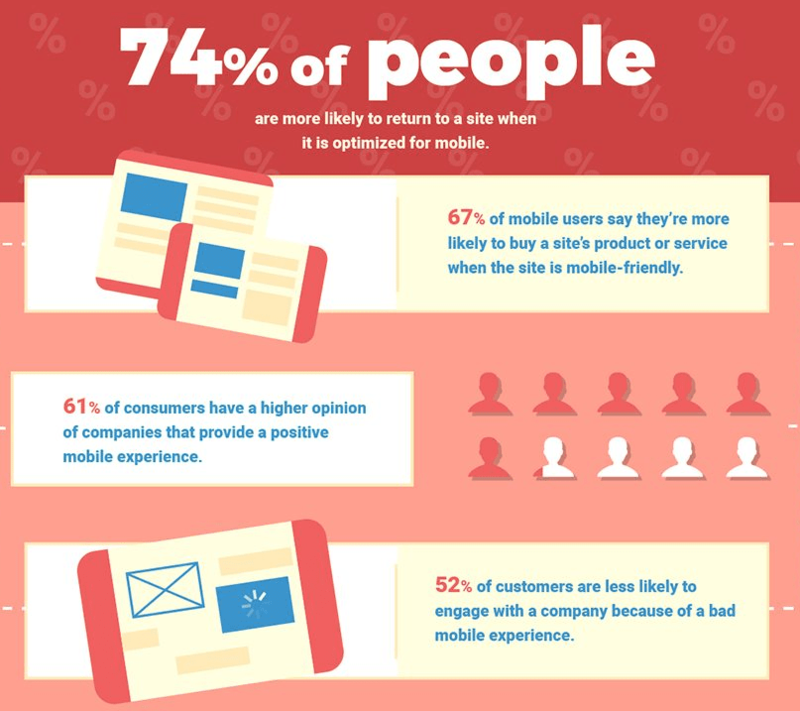 Wondering if your website is optimized for mobile? 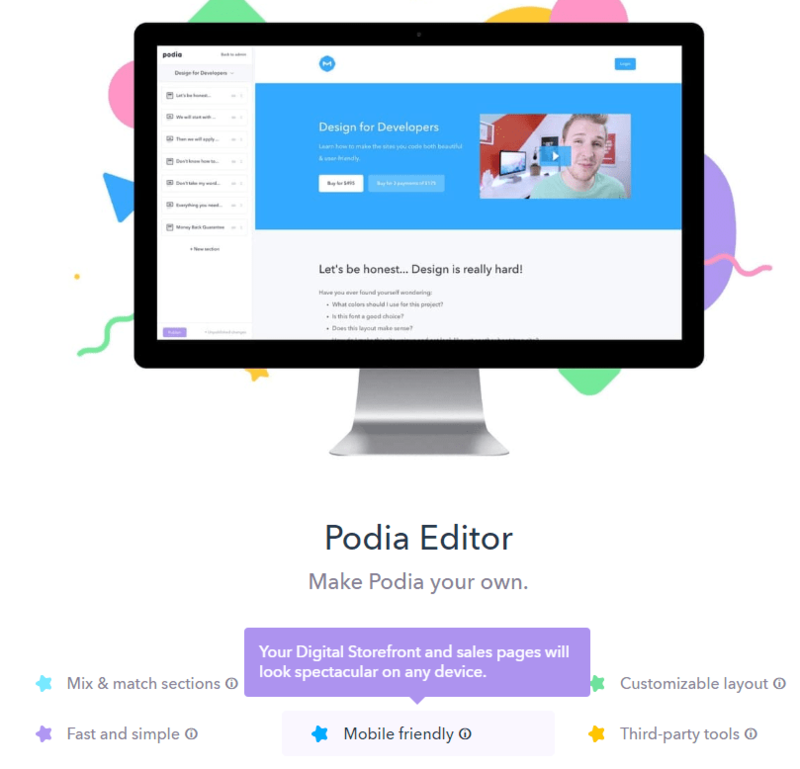 If it’s a Podia Storefront, it’s seamlessly mobile and we’re constantly making improvements to enhance the experience of smartphone users. 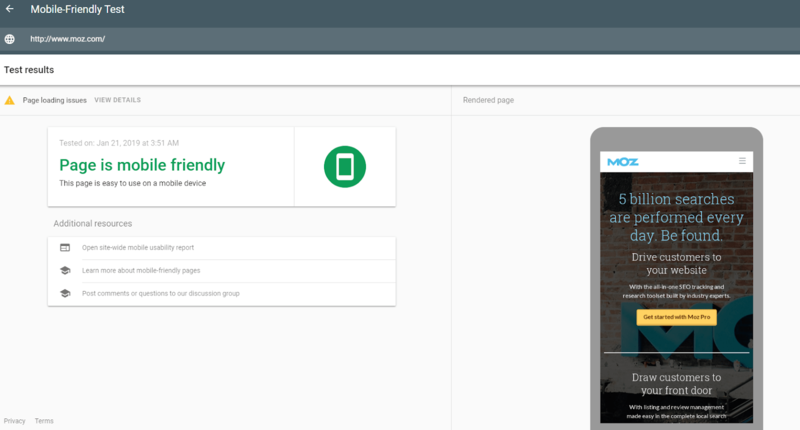 If you’re worried about your main domain or separate website, however, you can check your mobile-friendliness with the SEO source themselves and run your URL through Google’s testing tool. After analyzing your site, it’ll give you a simple, definitive answer about whether or not it’s mobile-friendly, as well as identify any issues that might be impeding its rendering on mobile devices. Let’s run Moz through as an example (if anyone is going to get SEO right, it’ll be the SEO experts). If you click on the “page loading issues,” it’ll give you a clearer picture about what you need to fix. 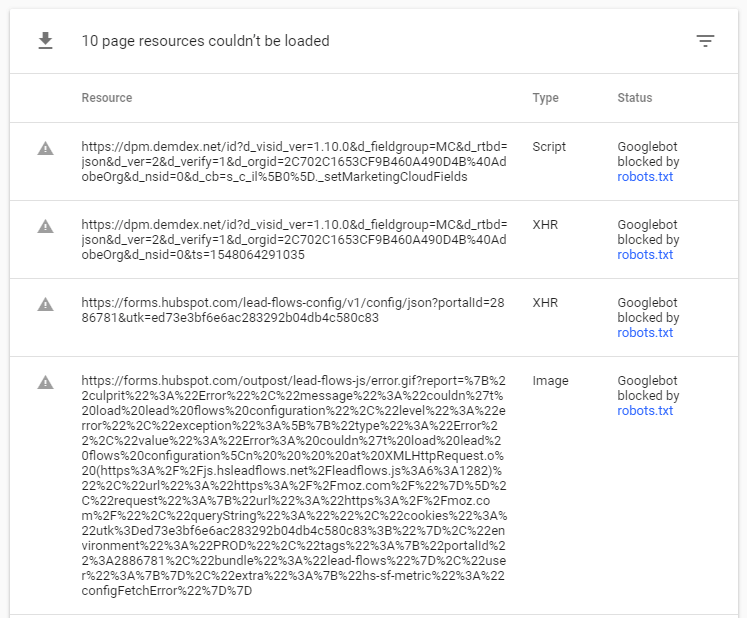 For Moz, here’s a sample of the resources that couldn’t be loaded. Since robots.txt is meant to dictate what Google can and can’t crawl on a site, everything looks good on this front. But if you do find any responsiveness issues with your website, we recommend seeking out an experienced web developer to address them. You can find many skilled one-time freelancers on Upwork or Fiverr. For our last tip of the day, let’s talk about a slightly divergent path from the norm. Tip #4: Plan for voice search. I actually mean talk in the literal sense. Voice search is one of those trends that’s been hovering on the horizon, but the dawn has come, and if you want to stay ahead of the game, you need to think in terms of voice search when it comes to your website. After all, 40% of adults use voice search at least once a day already. 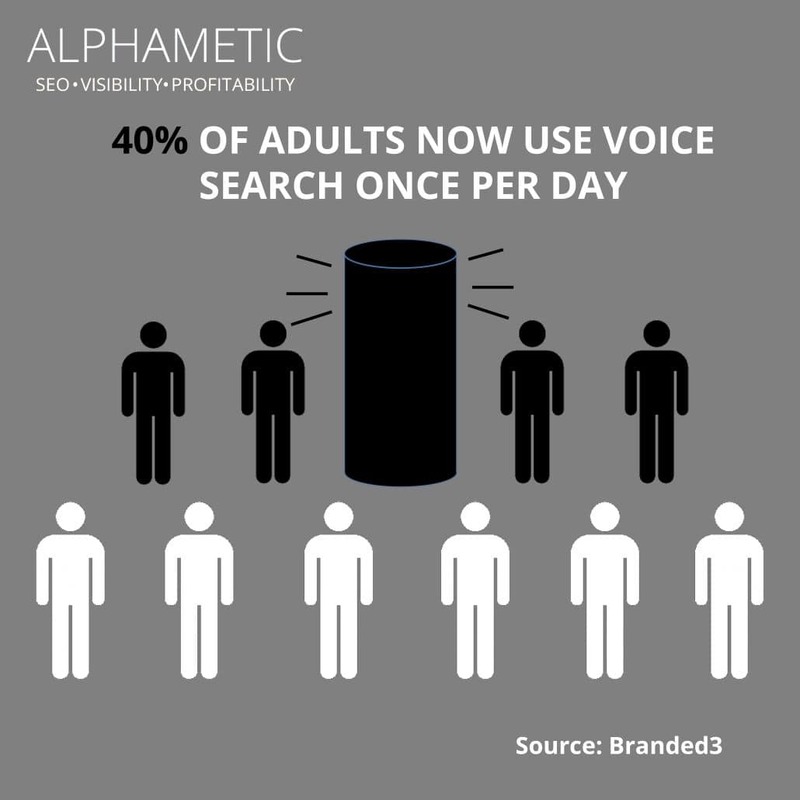 And by 2020, voice search is anticipated to dominate at least 50% of all search traffic. Fortunately, planning for voice search is easier than it sounds (pun not intended). Why? Because voice search reflects natural language. When we ask our smart devices to look up something for us, we talk to them the same way we would another person. So future-proofing your content and its SEO is as simple as reading it aloud. Does it sound like the way someone might search for it if they were asking another person for information? If so, you’re golden (and probably followed our second tip in this article). If not, rework your copy to fit natural language patterns. Robots may be responsible for serving your pages on the SERP, but as more homes adopt smart devices, search patterns are becoming increasingly conversational. 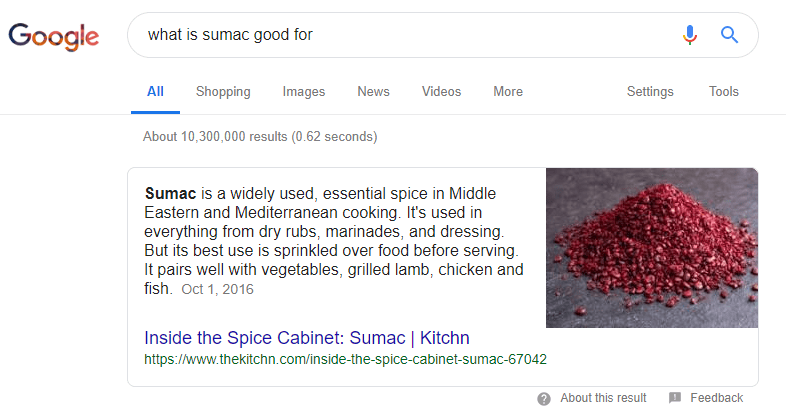 Specifically, try to frame your content with questions in the headers and answers provided succinctly and naturally beneath them to angle for Google’s featured snippet like you see in our article about successful membership site examples. Note that you’ll want to move fast on this particular strategy. 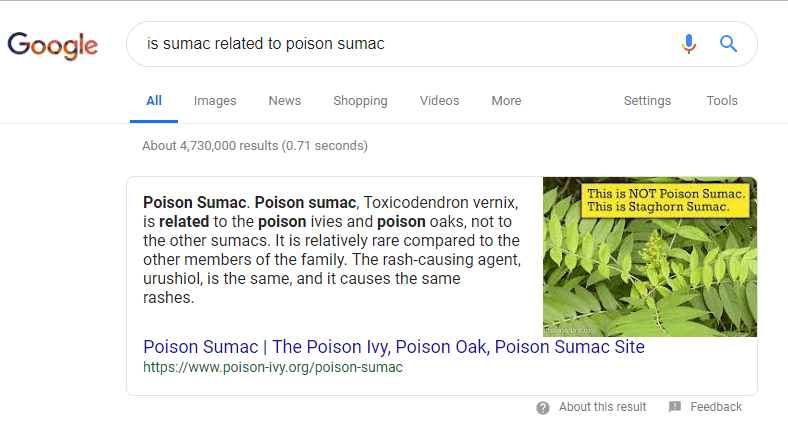 The earlier you adopt this featured snippet approach, the easier it’ll be to compete for the coveted top-of-the-page spot. Because featured snippets are still in relative infancy compared to other positions on the SERP, which uniquely offers opportunity for websites without limitless budgets to move in. 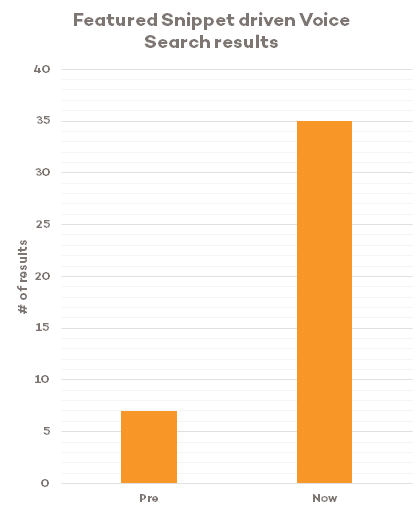 Plus, they get as much as twice the click-through traffic as the rest of the results page. A fact that Epiphany, a UK-based search optimization agency, utilized to help one of their clients seize untapped opportunities. Simply by planning for voice search in the client’s content and providing answers in a featured snippet format, they were able to drive 1200% more traffic to previously all-but-deserted pages. Preparing and implementing content for voice search is scalable, simple, and if you tap into it now, easy. If you wait until next year, on the other hand? Hindsight will literally be 20/20. Like all marketing strategies, the best way to approach SEO isn’t to go all-in and try to master it overnight. Improving your SEO means improving your visibility to customers, plain and simple. While Google may not be the only search engine in town, they’re the ones who set the rules. The fastest way to optimize your website for search engines is surprisingly straightforward -- make it as enjoyable and seamless for visitors as possible by prioritizing user experience. Focus less on keywords and more on the intent behind those keywords. What are users trying to do when they search for those terms? Deliver that. It matters for your customers and SEO alike. Mobile phones are now responsible for more web traffic than desktops, and search engines know it. If your website isn’t optimized for mobile, it’s not reaching its full SEO potential. Voice search is changing the way users search for things, and that’s good news for you, because this trend is still relatively easy to capitalize on. In fact, all you have to do to prepare for voice search is make sure your website copy reflects natural language patterns and format questions strategically with H2s. Reaching your audiences through search engines may not always be the easiest or fastest process, but it can be a simple one. Incorporate these tips to keep your users and the search engines happy for years to come.